A lot of crypto trading bots have emerged recently but all of them offer the same strategies – long and short. Long strategy means that the cryptocurrency bot will buy coins and sell them later at increased price and you’ll get profit in the quote currency – the one you used to buy coins. A bot in short strategy will sell the coins you have and buy them back later at a lower price. Thus, in the end you will have the same amount of coins plus the profit you made on price difference. But deciding when to use this or that strategy is the trick so let’s take a look at it in more detail. Learn more about long and short trading bots in TradeSanta. What should I consider when choosing a cryptocurrency trading strategy? There are two things you should keep in mind when choosing between long and short strategy. 1) The first and most important thing, choose a strategy according to the crypto pair’s trend. Let’s say technical and fundamental analysis of a coin points to the uptrend. Obviously, it wouldn’t be a good choice to short these coins. Instead, it makes sense to set up a long bot for the altcoin to benefit from it’s up movements. On the other hand, if a trend is changing, then it’s wise to consider shorting. 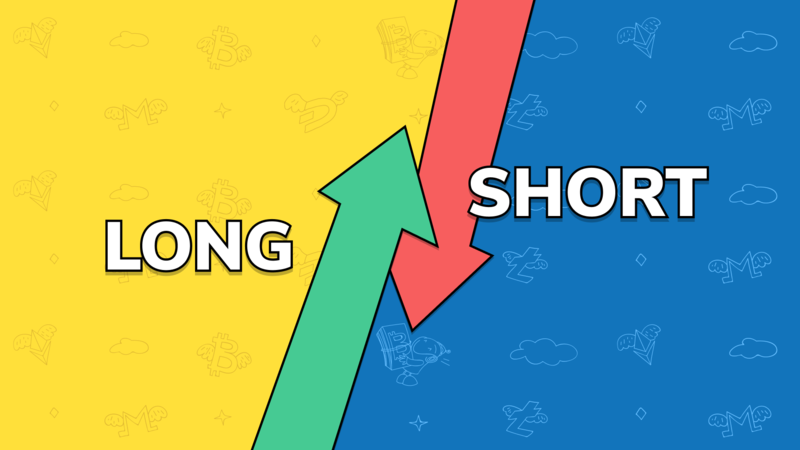 If there’s no apparent trend and a pair’s trading in a range, some trader’s launch long and short bot simultaneously to take advantage of all market fluctuations. Others start crypto bots with the opposite strategies for the same pair to hedge their risks. 2) The second thing to take into consideration is your portfolio. Usually shorting is done with borrowed funds, thus you borrow the coins as you think the price of them will go down, sell them now at a higher price, then buy back at a lower price, return coins plus commission, and keep the profit made. With automated trading systems usually the part of borrowing funds is done by you manually, and the trading bot just runs buy and sell orders. So if you are not borrowing and trading with your funds, for you short is like reversed long strategy, i.e. you still need to believe that the coin you sold and then bought back will go up in price later (otherwise you are with 0 profit or at loss). Which crypto trading strategy suits me better? Taking into account the points of the previous paragraph, we come to the following conclusion. If you don’t want to deal with manual buying and selling of altcoins and hold mostly quote currencies in your portfolio, you have much more opportunities for the long strategies. If you own a lot of different altcoins in you portfolio but little or no quote currency like BTC or ETH, you can set up a short bots for you coins. Thus, you’ll take advantage of crypto market fluctuations and will conserve your portfolio’s structure. But then again, closely monitor market trends and set up the bots according to the results of your analysis. As we’ve mentioned before, there are cases when launching two strategies simultaneously seems appropriate. However, be cautious in setting up your bot’s parameters and be prepared to have open deals for a while in case the market doesn’t bounce back or the trend persists longer than expected.